VibroCool Cools Indirectly, Perfect for Foundry Sand Cooling. Carrier VibroCool coolers are designed to cool product indirectly using a liquid cooling media. 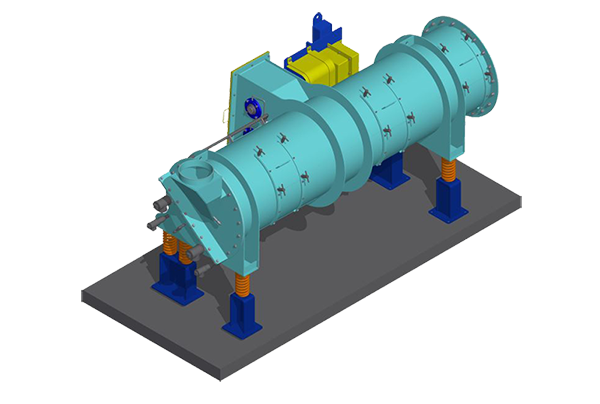 Liquid is circulated through tubes immersed in a vibratory bed of product. 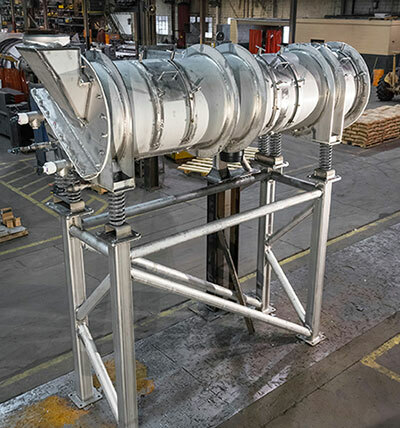 The unique design allows for cooling without passing air through the product, thereby eliminating the need for fans, ductwork, or dust collection equipment. Reinforced and stiffened tubular shell for high strength. Seamless heat transfer tubes with flexible hose connections. Dimpled water jacket for increased cooling surface area. Heavy duty direct drive for smooth, consistent operation. Drive not susceptible to upset conditions. Heavy duty springs for an isolated design. Low dynamic reactions; minimizing foundation requirements. Simple design for long life. Few moving parts, minimum maintenance.